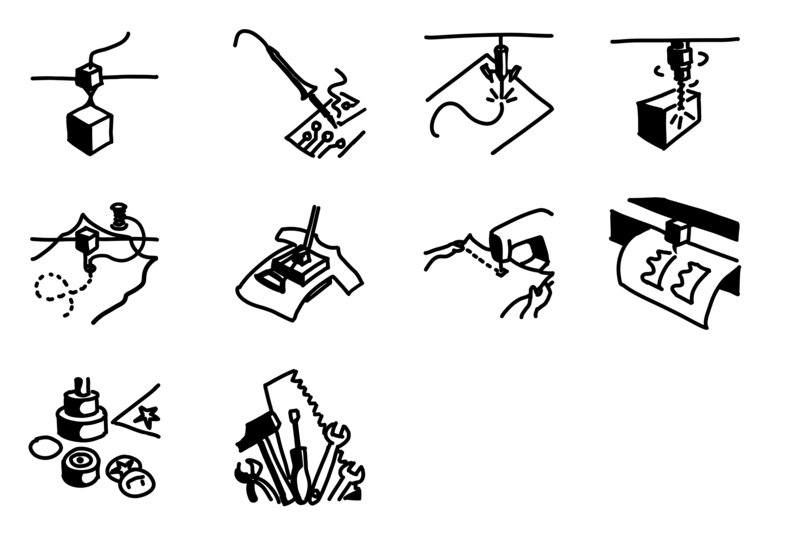 For our FabLab, the Fab’Alpes, I prepared pictograms or icons for each machine, then I made them available on The Noun Project. Come and try them ! To the extent possible under law, Camille Bissuel has waived all copyright and related or neighboring rights to this work. This work is published from: France.